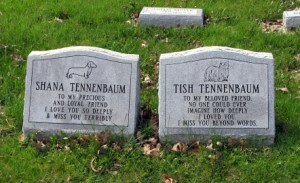 Sunday, September 8 was National Pet Memorial Day. This special day is dedicated to the memory of our beloved pets that have passed away by giving pet owners an opportunity to honor the lives of the pets that have touched our hearts and brought joy to our lives. At Elmhurst Animal Care Center we understand the heartache of pet loss, first-hand. In honor of National Pet Memorial Day we are creating a special Facebook Memorial Page and Memorial Pinboard on Pinterest for our clients to share their photos, memories, and memorials of their late pets. Whether you simply post a photo or two of the pets you have loved and lost, or create a more elaborate remembrance, we hope you will share your memories with us and the Elmhurst Animal Care Center community. Even though the official Pet Memorial Day has passed, there are still plenty of opportunities for you to pay tribute to your beloved pet. The following are a few ideas for honoring your pet’s memory. Look at photos and share your memories and stories about your pet with family members and loved ones. Create a small, pet-friendly flower garden in your pet’s memory. Plant a tree or shrub in your pet’s honor. Volunteer at your local animal shelter or rescue agency. Visit your pet’s burial site and pay tribute by planting some catnip or by leaving a favorite toy. Send a sympathy card to those who have lost a pet in the past year. As many pet owners consider their pets to be their best friends and family members, their passing can create an emptiness within us that can be difficult to fill. Whether your pet has recently passed or been gone longer than it seems, we hope you will take a moment to share with us, and those in our community, a brief glimpse into the joy your beloved pet gave you. Should you need referrals to local support groups to help cope with the loss of a pet, please don’t hesitate to contact us.